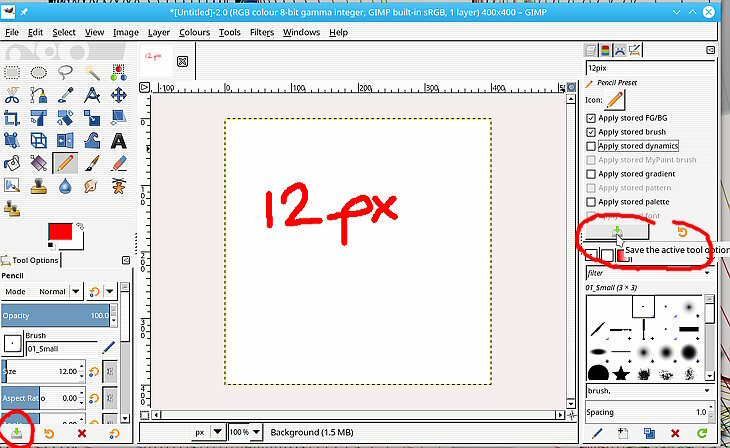 I am trying to save a red pencil tool preset. However, when i select the tool to draw with, it uses the current foreground color. I've edited the tool and checked/unchecked Apply stored FG/BG but so far it doesn't work. 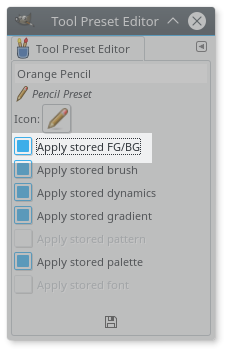 Did you tick the Apply stored FG/BG option before saving (not set by default)? 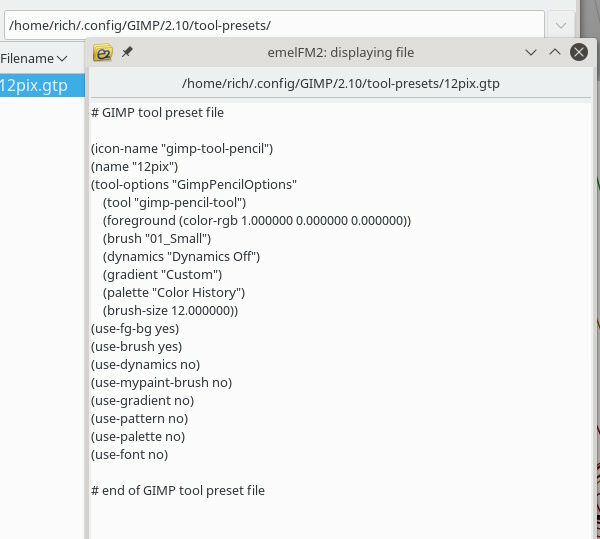 Set up the tool - brush, size, FG colour, anything else. The save preset icon brings up the preset dock. >> Did you tick the Apply stored FG/BG option before saving (not set by default)? Yes. I tried that several times. I deleted the presets (which were created in version 2.8) and recreated them. They seem to be working now. I'm not positive that was the problem, but if I was forced to bet money.....that was it. 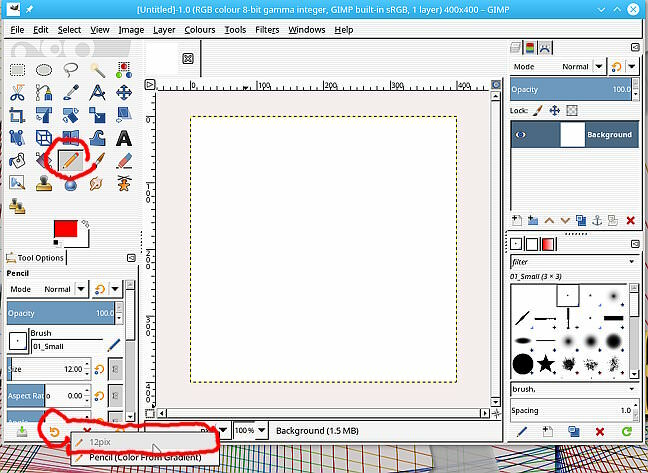 There is a chance that old files are copied over during the Gimp 2.10 installation. Often best to make a clean installation and add resources progressively making sure they work.